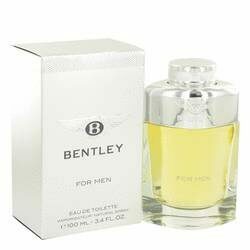 Bentley Cologne by Bentley, No matter what car you drive, bentley for men by bentley is the perfect cologne to show off your exquisite taste. Introduced in 2013 and featuring the same logo as the classic car manufacturer, this fragrance features an oriental-inspired appeal. Spicy top notes of black pepper, bay leaf, and bergamot mingle with middle notes of cinnamon and rum for an unforgettable aroma. This masculine cologne is a wonderful choice for any situation in which you want to display power and elegance.